When you’re relocating your home, the use of packing peanuts is inevitable. Even when you’re shipping items from one part of the country to the other, the advantages of using these specialized packing items are much more as compared to any other packing material. Not only they are effective in their job but packing peanuts are extremely affordable. Besides, they can be reused over and over again. So in a way, buying some of these packing materials can prove to a one-time investment that can offer you the flexibility to use them multiple times without the need to spend money every time you need to change your residential address. 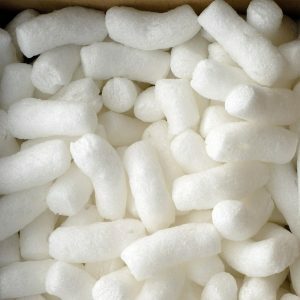 One of the other main reasons why people are more inclined towards using packing peanuts is because they have a unique insulation characteristic, which helps to maintain an item’s temperature during the travel. Maybe you want to ship a flower vase to an extremely warm area. Now you might be worried about the condition of your item. You are not sure if your vase can withstand the immense heat and break down under the temperature pressure. These situations can be avoided by using expanded polystyrene, which is known by the name of Styrofoam. Packing peanuts are here to stay as more people are choosing this particular material over others. And hopefully, the situation is not going to witness a major change anytime soon. They are extremely lightweight and have many advantages over its counterpart. They can provide utmost protection to your items. You can easily push your valuable items down into the peanuts since they are extremely well protected and surrounded. This is one of the biggest reasons why they can provide the best levels of protection to your items during times of travel. Since they consist of small Styrofoam pieces, it helps in filling up the vacant space. Besides, they provide additional cushioning that helps to keep your items protected even under drastic high-pressure conditions. In fact, these packing items can be used for multiple other objectives as well. They can easily be implemented as fillers so that objects don’t collide each other. They can even provide a second layer of protection to items if needed. Whenever you need to ship something that can easily break or damage, or items that have surfaces with more chances of getting a scratch, ensure that you use the packaged peanuts for ensuring the safety. Additionally, these package materials can prove extremely helpful for protecting loose items that might slide onto each other. In such scenarios, put the peanuts packers in between these items and restrict them from colliding. There has been a fair amount of critical discussions on whether packing peanuts are the best option since they are non-biodegradable. Such debates certainly have their merit since Styrofoam is one of those materials that cannot be recycled as of now. However, in today’s world there are more sophisticated, biodegradable options available in the market. You might want to choose from the variation and ensure that you contribute enough on your part for the welfare of the environment.